Maximize The Potential Of Every Weekend. 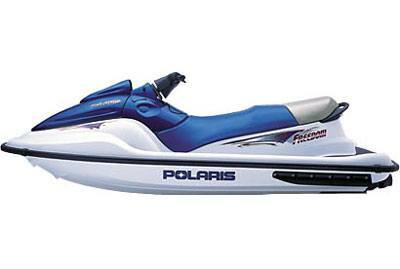 There’s no better way to discover the fun and adventure of watercraft riding than on the Polaris Freedom. We’ve built years of innovation, experience and reliability into every component, making it easy to own, simple to operate and a kick to ride. Freedom’s easy-starting, fuel-efficient 95hp engine and famously stable Polaris hull design give you great range and a fast, smooth and dry ride. And thoughtful extras like PLANET™ Sound Reduction, a front handhold for kids, 30 gallons of storage space and a stainless-steel tow hook make it the best value in its class.